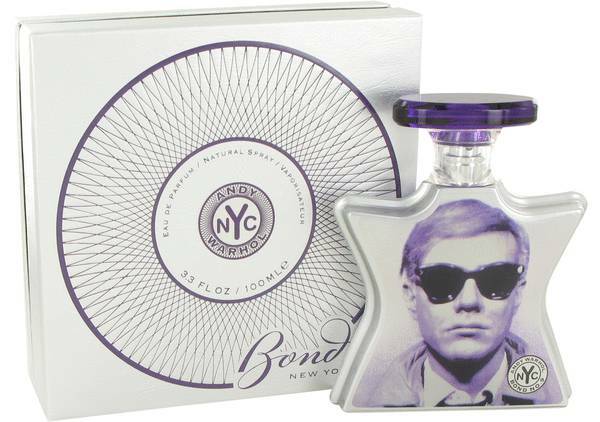 Andy Warhol Bond Perfume by Bond No. 9, Wrap yourself in the greatest elements of nature with the botanical Andy Warhol Bond, a delicious women’s fragrance. Bursting with floral and woody accords, this feast of nature’s finest ingredients is a welcoming and refreshing scent to wear on your wrists. Top notes of plum, citruses, bergamot and cypress all bring an energizing atmosphere to the blend, awakening the senses with their zesty tones. Heart notes of rose, jasmine, French labdanum and Read More Read More patchouli enhance the fragrance with their light and soothing flower garden accents while incorporating agarwood for added allure. Finally, the base notes of olibanum, vanilla, musk and sandalwood round out this intoxicating blend for a sweet, sensual fragrance that’s unstoppable. Released in 2011, this brilliant addition to the Andy Warhol fragrance line continues to attract customers. Its signature bottle displays the image of Warhol himself in the 1960s, his titular era that spawned myriad artistic pieces and movements across the industry and elevated his name across mediums. All products are original, authentic name brands. We do not sell knockoffs or imitations.